African guitarist, singer, songwriter and bandleader known as the "Doctor"; Remmy originally came from Kindu in North Eastern Zaire. He performed in bands from the age of sixteen, learning his craft from his father, who was a well-respected, traditional musician. 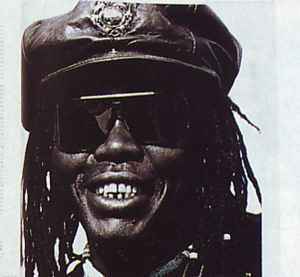 In 1978 Remmy travelled to Dar es Salaam where he joined Orchestra Super Makassy and later formed his own band, Super Matimila, named after the local businessman who bought and owned their instruments. His presence was almost majestic and his distinct voice, rich and soulful, soared above the lilting rhythms of the Super Matimila. The rolling melodic drive of Zairean soukous is undeniable, yet there is also the influence of traditional Tanzanian rhythms and hints of Latin and Soul. In Tanzania, Remmy's popularity was unrivalled; his reputation preceded him even to the remotest parts of the bush. His audience saw his lyrics as allegories, often attacking the country's ruling elite. He never assumed the mantle of spokesman for the masses but did both articulate the concerns of ordinary Tanzanians and initiate debate, with, for example, his song about AIDS, 'Mambo Kwa Soksi'. As he himself previously said, "I am successful in Tanzania because I write songs about serious topics ... my music is known as 'ubongo beat', because in Swahili 'ubongo' means brain and my music is heavy thinking music." He was reported to have died at his home, after suffering kidney failure, on 13 December 2010 in Dar es Salaam.